IHRC urges campaigners to write letters to the Supreme Council of Armed Forces (SCAF) in Egypt, demanding them to ensure that Islamic scholar Dr. Omar Abdul Rahman is released. 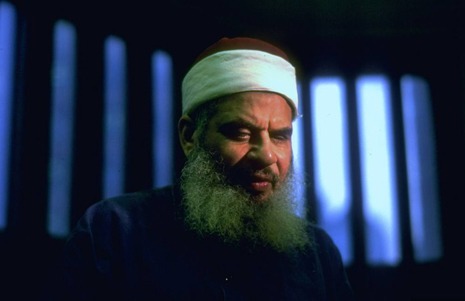 The US government imprisoned Sheikh Omar Abdul Rahman, sentenced him to a life in 1995 through sedition laws last used during the American civil war. His family will be holding a protest in front of the headquarters of the Egyptian Armed Forces on Friday, March25, 2011, calling upon Chief of the Armed Forces, Marshal Tantawi, to demand the immediate release and return of Sheikh Abdul Rahman to his country. His lawyer Lynne Stewart, the only person granted permission to visit the elderly Sheikh, was also convicted and sentenced to 10 years imprisonment for relaying messages between the Sheikh and his family. His family has only been granted a visitation once in the last 18 years. Their efforts of gaining a visa to visit him more often were on every occasion denied. His health has deteriorated substantially, as he suffers from many illnesses and is confined to a wheelchair. He was reportedly subject to physical abuse by the prison guards, and subjected to strip searches every time he has a visitor. IHRC calls for the immediate release of Dr. Omar Abdul Rahman, and his safe return to his family in Egypt. Write to the Supreme Council for Armed Forcing requesting them to urge the US government to release Sheikh Omar Abdul Rahman immediately, and return him safely to Egypt. I am very concerned about the current health situation of the Egyptian national Sheikh Omar Abdul Rahman, who has been unjustly serving a life sentence, through sedition laws last used during the American civil war. He spent 18 years in solitary confinement in a US prison. The family of Sheikh Omar have been repeatedly denied visitation rights over the past 18 years. I am deeply concerned about the state of his health, which has deteriorated under the poor conditions in a US prison. I request that you to call upon the US government to secure his release and return him to his country Egypt. Please use your authority, as head of the Supreme Council of the Armed Forced, which heads the provisional government of Egypt, to call for his immediate release. I look forward to your assurance regarding this urgent matter.